Russian servicemen have opened a medical facility in the village of Aisha, located in Aleppo province, Syria. AISHA (Syria) (Sputnik) – Russian servicemen from the Center for Syrian Reconciliation have opened a medical facility in the village of Aisha, located in Aleppo Governorate, a Sputnik correspondent reported. Doctors of the special medical unit of the Russian Defense Ministry started to receive patients at a local school. “Pediatricians are seeing children, surgeons are receiving patients; dozens patients may be seen each day. Diagnoses are very different: intestinal infections, scabies, tonsillitis, pediculosis,” nurse Svetlana Derevyanko told Sputnik. According to reconciliation center official Soslan Tseboev, his organization's employees regularly monitor the humanitarian situation in the areas liberated from terrorists and choose the most vulnerable settlements that need aid. “During the reconnaissance it seemed to me that there are no residents here – only ruins left by hostilities. Later we revealed that [local residents] reconstructed five houses on their own,” Tseboev said. Local residents received several tons of humanitarian aid including bread, canned goods, groats and medicine. “We also delivered them several water tanks because most wells were destroyed by artillery shelling,” Tseboev said. According to local authorities, more than 100 civilians will return to Aisha from refugee camps in Damascus and Latakia in the the near future. 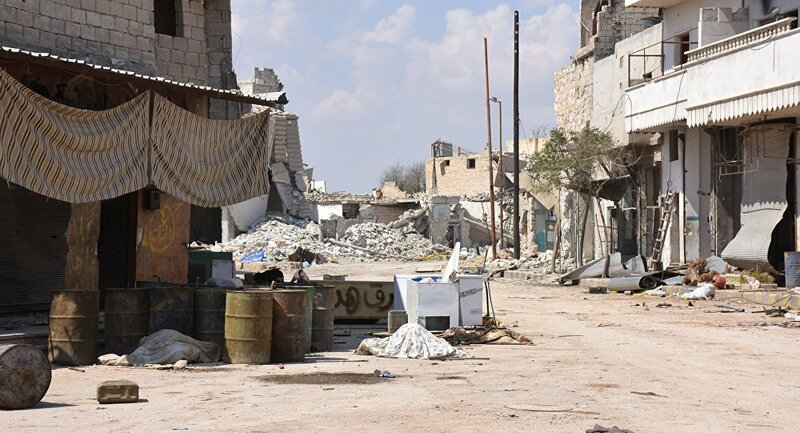 Syrian residents are in dire need of assistance amid continuing fighting between the Syrian government forces and various opposition and terrorist groups. Russia regularly conducts humanitarian operations, providing civilians with necessities.